If you’re a long-distance caregiver, you may have recently had a visit to check in on your aging loved ones. This visit is, perhaps, the first opportunity in several months that you had to personally observe them and their home environment. In the meantime, you’ve probably relied on regular telephone conversations and information passed along by closer-living relatives to gauge their wellbeing. Absence, even for a short period, often allows us to observe a situation with fresh eyes upon our return. For this reason, visits during the holidays can reveal a great deal about our aging loved ones. You can use the following pointers to help gauge how well an aging loved one is faring in your absence. If you have concerns about your observations, one of our certified geriatric care managers can help you make a plan to address any issues. You may have noticed changes in a loved one’s physical appearance and mobility or odd behaviors, maybe confusion. Urinary tract infection (UTIs) are very prevalent in elders and while they are easily resolved with antibiotics, they cause serious symptoms that can mimic or exacerbate dementia-related behaviors. In this case, a geriatric care manager can coordinate senior concierge services to address the problem smoothly and with little inconvenience to your loved one. Are they still going to church on Saturday/Sunday or seeing the hairdresser on Friday? Do they still take a nightly stroll around the block or enjoy sitting down with a good book in the afternoon? Are they still engaging in normal routines, such as grocery shopping, preparing meals, basic housekeeping, reading the newspaper, and maintaining their personal hygiene? When engagement in these routines stop, it might be time to hire an in-home care provider. Take notice of any unused and expired prescription bottles strewn throughout the house. Pay attention to any loose or misplaced pills. A thorough look around your loved one’s house can speak volumes about their physical abilities and mental state. For example, you may start finding bills unopened on a desk or lost between sofa cushions. This scenario could indicate the need for a financial power of attorney (POA) to be established. Pay close attention to the state of the kitchen as well. You may notice forgetfulness in turning off the stove. At that point, it might be time to disconnect the stove and oven and let a caregiver take over meal preparation. Additional signs of unsafe cooking include scorched pots and damaged cookware. Other household indicators to look for include piles of laundry, bathroom(s) that have descended into unsanitary conditions, and expired food in the fridge and freezer. Keep in mind that many seniors tend to put extra effort into their personal care and their home just before visitors arrive to keep up appearances. However, just because there are no obvious warning signs doesn’t necessarily mean that nothing is amiss. You know your loved one best, so be on the lookout for even subtle indications that they may be having trouble. If you see a pattern of decline in your loved one, but you’re not sure how to help or where to start, begin an honest conversation with them. Mention your concerns and the steps you can take to improve their health and safety while helping them retain their independence. Discuss the idea of a having a health assessment done by your loved one’s primary care physician. Your loved one may need help with housecleaning, laundry and/or bathing. Ask them how they would feel about having a home health aide visit a couple times a week. 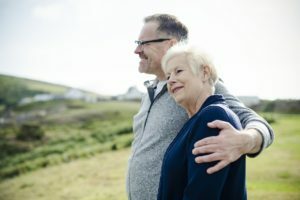 This suggestion could convince your loved one to accept this help by reminding them that additional support would keep them healthy and safe, thereby allowing them to continue living in their own home longer. Propose making an appointment with an elder law attorney to ensure that all your loved one’s legal questions are answered and their documents are in order. Identify sources of support that can be your eyes and ears when you are back home. This list may include neighbors, family, friends and professionals. Make sure everyone on the list has your contact information in case of an emergency. The more support systems you have in place and information you have gathered, the more likely your loved one will be able to remain independent and safe in their own home. Being proactive will give you peace of mind. Contact a Geriatric Care Manager to strategize and create a solution tailored to your loved one’s needs. Geriatric Care Managers offer senior concierge services and are experts in locating local resources and senior and disability services. Gail M. Samaha is the founder of GMS Associates. She is a successful management consultant who from her own personal experience along with her background as a hospice volunteer and 30 years of business management, created an elder care planning division for elders and caregivers and trusted advisors.